The Importance of Bed Bug Control for Homes and Property Businesses. As a property owner or manager, you know that keeping bugs away is one of many responsibilities that you have. While the first creatures that come to mind when you hear the word “pest” may be roaches or rats, the importance of bedbug control cannot be overstated. Ideally, you will never have to face bedbugs. However, if you do, you will need to have the problem corrected quickly. Whether you choose to treat for bed bugs yourself or opt to have a pest management professional do it for you will depend in part on whether the infestation is on your private property or at a business location. Generally speaking, you will need to hire a professional for commercial properties in order to adhere to state and local regulation. For many decades after WWII, the appearance of bedbugs in the US was on the decline. However, they continued to be a problem in other parts of the world and have been making a resurgence in the UK. If everyone become more vigilant about treating them, it is highly possible that the country can return to the low rates of days gone by. These bugs are about the size of an apple seed and have a brownish appearance. Their oval bodies are flattened which allows them to squeeze into all kinds of hiding spots. These troublesome creatures do not have the ability to fly or jump though they crawl at incredibly high speeds for their tiny bodies. Young Bed Bug nymphs, are lighter in color than their adult counterparts as they have not yet become stained brown by the effects of multiple blood meals. The adult females lay one or two eggs each day that are virtually impossible to see without magnification. Initially sticky, the eggs will hatch in about a week and are barely visible to the naked eye. These insects live on blood, preferably human, and will hide in furniture where people are going to sleep. Though they do not create a nest, they will stay in the same general area, which will begin to show signs of an infestation. This can include dark spots from their droppings and skin left from the five molting cycles the creature goes through before reaching full maturity. 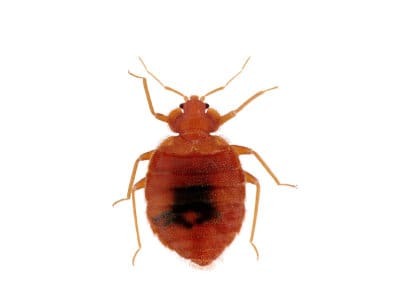 Among the reasons for the importance of bed Bug control are their life cycle and ability to live for extremely long periods of time without food. When food is not available and the temperatures are below 55 degrees, they often live around six months though they can survive in these conditions for an entire year! This means that closing off an area to starve them out will be ineffective. 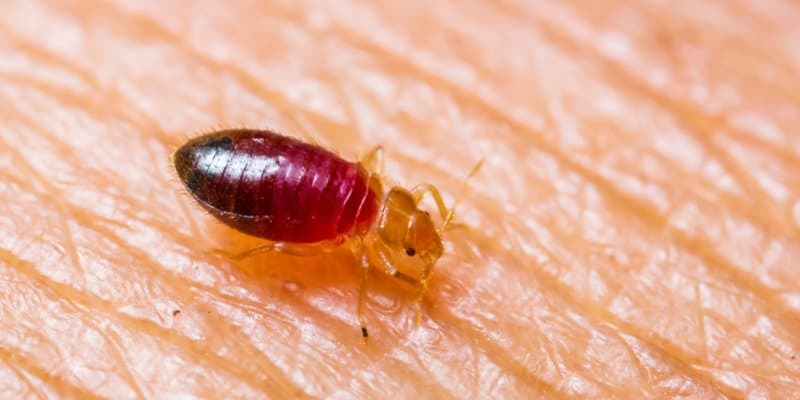 If you know for certain that you have Bedbugs in your home then you should contact a professional like Pest Solutions in order to have them removed as treatment is the only method of control. For hotels & guest houses it is important that you have regular inspections for them as your business is among those more susceptible to an infestation. Although motels and hotels are an obvious place for these pests to reside, many other businesses are also at risk. Movie theaters, restaurants and anywhere with padded seats should be checked out. Because they can travel on clothing, virtually all companies are at risk that a customer may inadvertently leave a few in a reception area chair. All business and homeowners need to realise the importance of Bed Bug control. Hiring a professional such as Pest Solutions is the best way to eradicate these troublesome creatures. Because of their resilient nature, even the most diligent homeowner may miss them when attempting to exterminate the intruders. Professional pest experts have the equipment and training necessary to find all of their hiding places and to perform a thorough removal. Get Rid of That Pest Today ! The Bed Bug control experts. To get rid of that unwanted pest today simply call Pest Solutions on 0800 027 2555 to arrange a FREE survey or a service call out. Our professional and discrete technicians are ready to help and advise you to ensure that your peace of mind is restored.